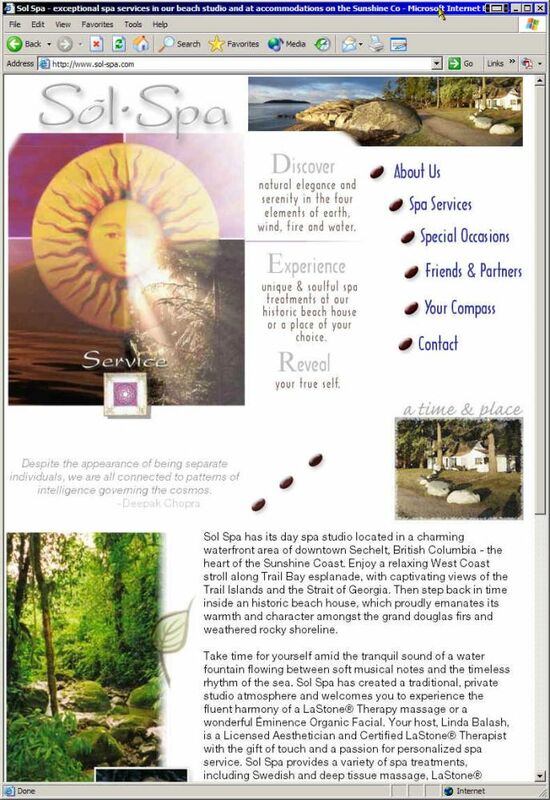 Sol Spa had very exacting ideas for what they wanted their new web site to look like and how it should function... PawPrint helped them achieve their goal - and with the addition of our Content.Manage XDe module even surpassed their expectations. Their new web site was crafted to meet their graphic goals with special attention throughout to the search engines and usability. Several sections of this web site employ our new Content.Manage XDe module, allowing Sol Spa to update those portions of their web site - without any obvious difference in look and feel to the end user. "Many thanks to Scott Baker of Pawprint.net for sharing his ingenuity and professionalism in such a friendly, genuine, and accommodating manner. When it comes to the web, we are very fortunate to have made tracks to Pawprint!" 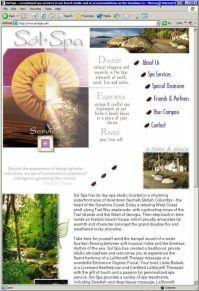 kindly shows in the current events section of sol-spa.com upon launch.